If Alex Rodriguez and the Yankees were on Facebook, they'd be listed as "in a relationship, and it's complicated." Monday was a bad day for A-Rod. After the MLB handed down to the baseball superstar a year-long ban for alleged steroid use and intimidation of witnesses, he vowed to appeal and stubbornly played in Monday night's Chicago game — where crowds booed and jeered him. Do the Yankees even want A-Rod back? Certainly the team's manager, Joe Girardi, has pencilled him in to continue playing, even though his suspension kicks off on Thursday. (If A-Rod appeals, as he's pledged, he'll be allowed to continue playing during the process.) When press asked the player if he thought the team wanted him to stay, he replied: "If I'm productive, I think they want me back." Emphasis on think, and that very open-ended "productive." We are compelled to address certain reckless and false allegations concerning the Yankees' role in this matter. The New York Yankees in no way instituted and/or assisted MLB in the direction of this investigation; or used the investigation as an attempt to avoid its responsibilities under a player contract; or did its medical staff fail to provide the appropriate standard of care to Alex Rodriguez. Separately, we are disappointed with the news today of the suspension of Francisco Cervelli. It's clear that he used bad judgment. The beefy shadow of A-Rod hangs over this one. If Cervilli used "bad judgment" and they're "disappointed" in him, how on earth do they feel about their chief Yankee who used steroids (again!) and then apparently tried to intimidate witnesses into keeping mum? 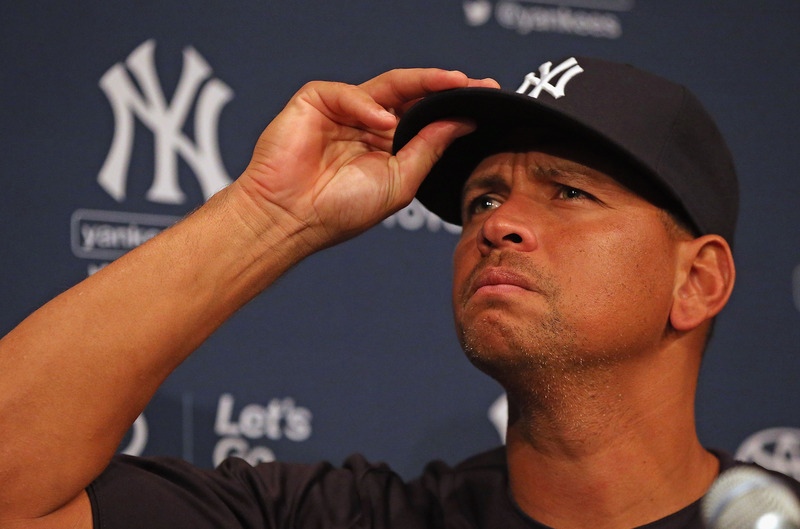 Contractually, the Yankees and A-Rod are joined at the hip for a while. So that's complicated.